Because she lacks a background in politics, former Hewlett-Packard CEO Carly Fiorina's stances on public education aren't so clear to everybody. According to Fiorina's On the Issues profile, however, she supports No Child Left Behind and has spoken in favor of local over federal control of education. Fiorina has also discussed liberal stances on education using "us versus them" rhetoric, stating, "Liberals may be prepared to confine some to lives of dependence ... But we as conservatives are not." And as the daughter of Joseph Sneed, a deputy Attorney General and judge on the Ninth Circuit Court of Appeals, Fiorina herself received an impressive education. Growing up, Fiorina moved frequently because of her father's career, and she ended up attending five different high schools (one of which was in Ghana) before she graduated from Charles E. Jordan High School in North Carolina. Fiorina went on to study at Stanford University, UCLA, the University of Maryland, and MIT. Fiorina explored several different fields and even aspired to be a professional pianist at one point. Fiorina graduated from Stanford in 1976 with a bachelor of arts degree in philosophy and medieval history. That same year, she began attending the UCLA School of Law. Fiorina dropped out after one semester to the ire of her father, and over the next few years, worked a variety of jobs. Before studying at the University of Maryland's Robert H. Smith School of Business and earning a Master of Business Administration in 1980, Fiorina would work as a receptionist, a real estate broker, an English teacher in Italy, and eventually a manager at AT&T in the wake of a sexual discrimination lawsuit against the company for its lack of female managers. 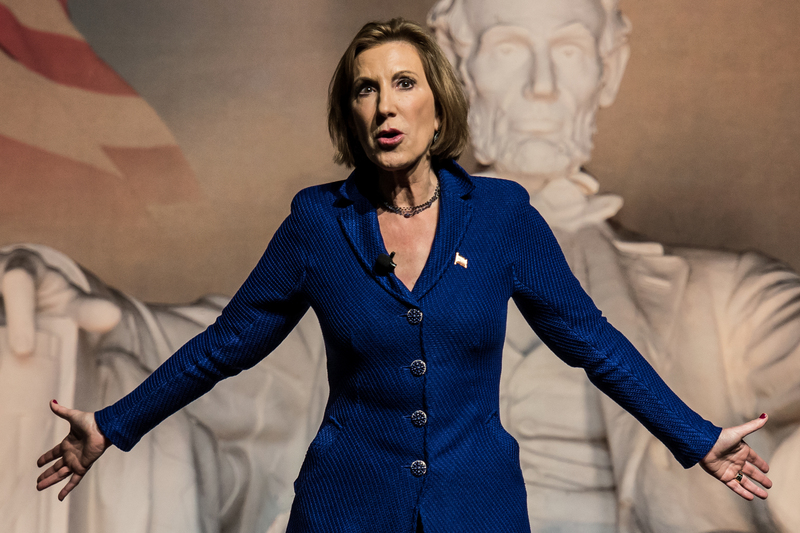 Fiorina went on to study at MIT's Sloan School of Business under the Sloan Fellows program. In 1989, she obtained a master of science in management. You know one of the things this president loves to do is to distract us so I think he is trying to distract us from the fact that we have too many failing high schools in this country by offering community college for free. However, Fiorina went on to state, "If we want to educate our children, let us make sure that every parent has a choice and a chance to educate their children so that they can fulfill their potential." But it's difficult to imagine what choices and chances she is referring to while being against opening up higher education. Maybe the GOP presidential candidates will be asked about their stances on education at Wednesday's debate, and Fiorina will have a chance to clarify. Correction: A previous version of this article stated that Fiorina has never emphasized how her presidency will tackle education, which is false.